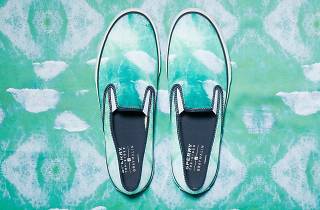 This summer, you’ll quite literally be stepping into photographer Gray Malin’s portraits via a fresh pair of Sperry kicks. 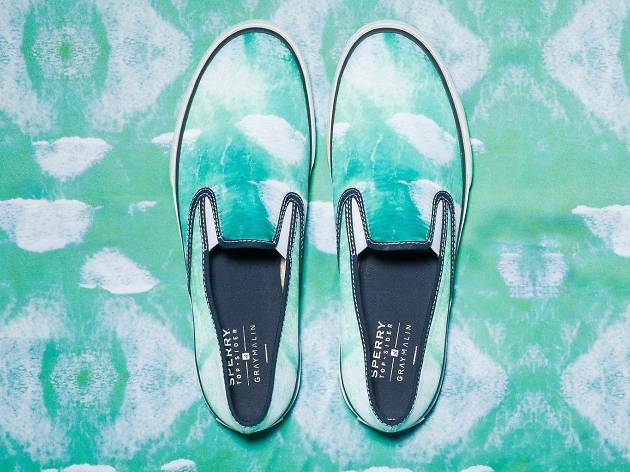 Transporting his colorful beachy prints to everyday footwear, Malin is exploring a new canvas in collaboration with high-end American brand Sperry Top-Sider. Pour yourself a fine glass of bubbly and indulge in small bites at the LA flagship store for an evening soiree—except unlike the standard photo gallery, you’ll be checking out his work among laced up Sperrys.